Constantly dreaming about the beautiful beaches, blue lagoons, and holiday vibes had me booking a surprise ticket for Nath straight after our last trip to the Cook Islands. In March we got our qualifications for our open water dive certificate and straight after booked our tickets for the shark dive we had been dreaming about since we first heard about it. 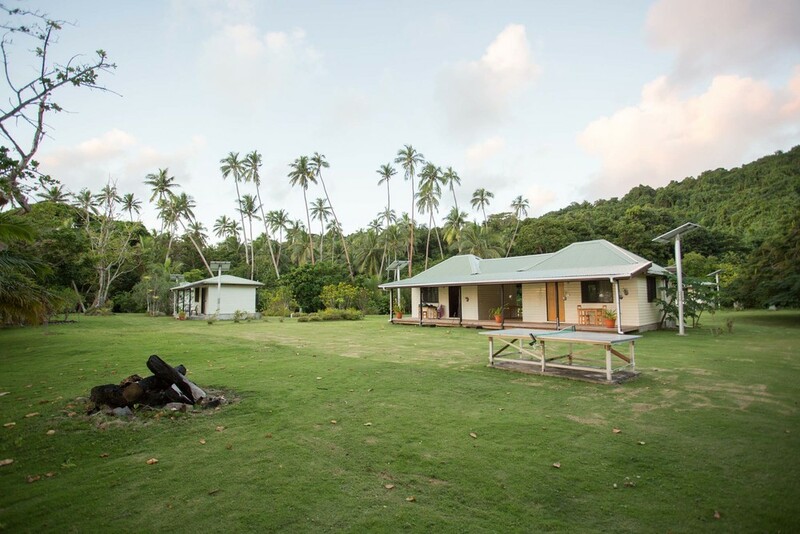 Our first six nights were spent on the island of Beqa at Lawaki Beach House. It was a bit of a mission to get here and we have a crazy story about the boat ride we thankfully survived haha (take note to pay a little extra for your safety). Lawaki Beach House is situated on its own private beach and has a great homely vibe to it. We woke up in the morning and stepped straight into paradise, coconut trees, white sand, warm water, hammocks, sun and an array of colourful fish and corals right at our doorstep. One of our favourite days was spent snorkelling the outer reef with Sam (pictured below. The Fijian with the huge friendly smile). We spent the morning chasing fish and a small white tip reef shark followed by lunch on our own sandy kay in the middle of turquoise water. Our next adventure took place on the island of Kadavu. We took a boat ride back to the mainland, a car trip to Suva, a bus from Suva to the airport, a small plane to Kadavu, another car trip on the back of the ute, and a scenic boat ride to the resort. 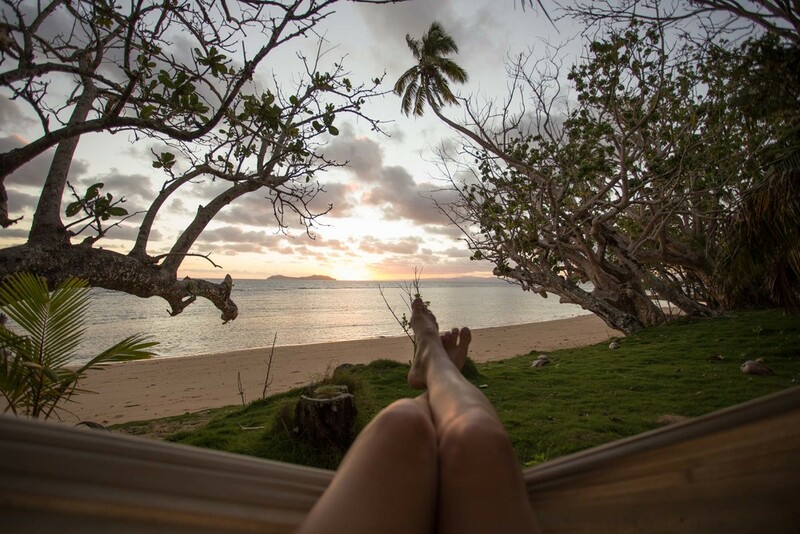 Here we stayed another six nights at Matava Eco Resort, which was amazing!! This is where most of our dives took place, on the Great Astrolabe Barrier Reef. We dived Shark Ally, Tee's reef and Manta reef. While we didn't see anymore sharks and sadly I missed the manta ray it was still so special to experience another world below. We would highly recommend going to Fiji on a dive trip!! The coral and fish life was really special and a great experience for our fist dive trip. We are now hooked and cant wait to explore more of the world below. I hope you enjoy our shots below and the mini film by Nath. A few years ago, Wiet was travelling by a small boat packed full of fresh produce, a large pig and eight of his friends. They were heading from Beqa to Kadavu, a 2 hour boat ride across open ocean. The seas were rough and the swell was huge, as they neared the island of Kadavu they were struck by a large wave and capsized. With no life jackets, flairs or anyone knowing they were out there they were forced to swim for their lives. A thought that is so terrifying to us but so common to Fijian islanders. Over two days Wiet and his best mate drifted further towards the island they had just come from. They watched with terrified eyes as seven of their friends were picked off one by one by hungry tiger and bull sharks. Sticking together and staying as still as they possibly could kept them alive. Wiet and his friend eventually drifted all the way back through the night and next day to a small island just off Beqa. Exhausted, hungry and probably ready to give up on life they new they had to get back in the water to make another crossing to the large island, something I wouldn't do for a million dollars. They arrived late in the afternoon on the beach just outside their village where they were found, dragged in and cared for. Sam, Wiet's brother in law told us his story laughing while we were on the boat ready to dive the reef. Wiet was already a hundred meters off spearfishing alone not afraid of anything, this is what I love about islanders. They are so carefree and humble. Wiet has the craziest story we have ever heard, there could be a movie made about him and yet he wasn't there to boast about it or speak proudly over it, he just goes on living an island life from day to day providing for his family.